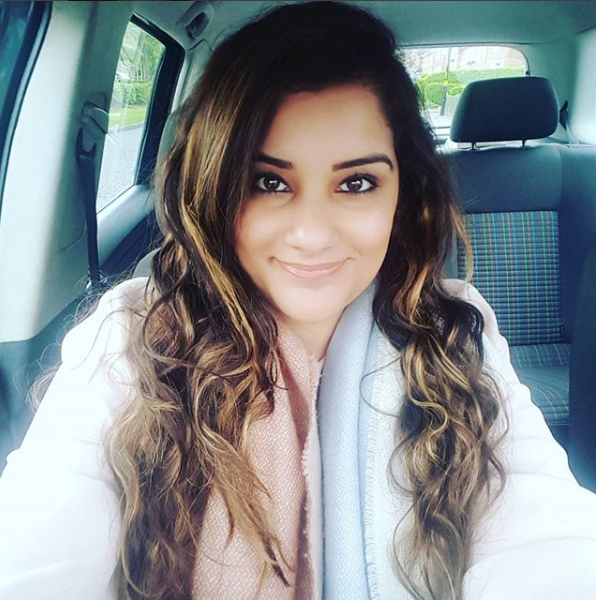 Hi, my name’s Nav and I work as the Digital Copywriter & Communities Officer at Coventry University. My mission is to guide you through Results Day and Clearing 2018! As a Cov Uni Graduate, I’ve been through all the emotions you’re going through right now. You’re probably asking yourself: will I get the grades I need to get into uni? If I don’t get the grades I want, will I have to take a different course? Will this change my career choice? And so on, there’s so much to think about! This is why I’ve come up with a Results Day Survival Guide that will help get you through the day. Follow these steps and you’ll be fine! Make sure you’ve got your Track sign in details to hand and update your contact details if you need to, but remember you can’t sign in until 7am (UK time) on Thursday 16th August. You need to be available on Results Day so the lovely people at UCAS can talk to you. They can’t speak to anybody else about your application details unless you’ve given them nominated access to speak on your behalf. If you know you’ll be off exploring the world then make sure you nominate someone before jetting off! Find out how your exam results will get to your college or sixth form. Most go straight to UCAS from the awarding organisations who then send them on to your choices, but some don’t – in this case all you need to do is send your exam results to the universities yourself. Don’t skip breakfast, even if it’s the last thing you feel like doing. Eating will help calm your nerves. Wholegrain foods and blueberries are said to help relieve stress as well as pure dark chocolate without added sugars or milk – you might as well, if nothing else, it’s an excuse to have chocolate for breakfast! Consider all of your options. Have a plan ‘B’ ready just in case you don’t get the grades you’d hoped for. If you decide to apply for a course through Clearing, you’re now a part of the one in eight people who will have got into uni in the same way – so don’t treat Clearing as though it’s a failure because it isn’t. Don’t go to collect your results alone. Take someone with you for support. Your parents, or a friend going through the same situation as you would be ideal, this way you can keep your spirits up together! Don’t assume anything. For example, if you find you’ve got a C in English but you needed a B for the course you want to study, but you’ve got better than expected results in other subjects, you may find that you’ve still been offered a place. Don’t assume anything and give us a call if you’re unsure. If you don’t get the grades you’re expecting, don’t rush into making a decision and choose any old course just so you’ve got a place at university. Speak to our friendly Clearing Advisors who will help you through the decision making process depending on the career you want. If you do go through Clearing, have your Personal Statement ready, this could be useful when speaking to the Advisors. What do I do if my friend gets better results than me? We understand if your friend does better than you, you may feel envious. But put those feelings to one side and be happy for them. After all, they have worked hard for two years to get to this point and all hope isn’t lost for you. You can still go through Clearing and have a great student experience. What do I do if my friend gets bad results? If your friend gets bad grades and you don’t, show them sympathy but also help them by explaining to them they still have lots of options available through Clearing. What do I do if my results aren’t what I expected? As I mentioned earlier, all hope isn’t lost at this point. Have a Plan B ready just in case your results aren’t what you expected them to be. Lots of students who have gone through Clearing say coming to Coventry University through Clearing is the best decision they ever made. You can view stories here. Visit our course pages if you’d like further information on the different courses we’re offering this Clearing 2018. ← Worried and concerned about studying at Coventry University? Don’t be!